HOUSTON, TX -- True The Vote (TTV), a nonpartisan election integrity organization, responded to the recent United States District Court ruling handed down yesterday that denies Texas' right to ensure election integrity with photo voter identification requirements. "This is a sad day for a majority of Americans demanding better safeguards against election fraud and irregularity," True The Vote President Catherine Engelbrecht said. "Texas voters deserve the same peace of mind offered to residents of Indiana, Pennsylvania, Kansas and others when casting their ballot. Holding states to separate standards of law in the 21st Century is counter-productive and disrespectful to America's tradition of equal protection under the law." 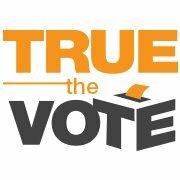 True The Vote (TTV) a nonpartisan, nonprofit grassroots organization focused on preserving election integrity is operated by citizens for citizens, to inspire and equip volunteers for involvement at every stage of our electoral process. TTV empowers organizations and individuals across the nation to actively protect the rights of legitimate voters, regardless of their political party affiliation. For more information, please visit www.truethevote.org.